What is your first week of 2018 so far? I hope you guys are having a great start of 2018 so far. School has already started on 3/1. This semester is going to be very busy! I would try my best to update my blog and instagram as much as possible! 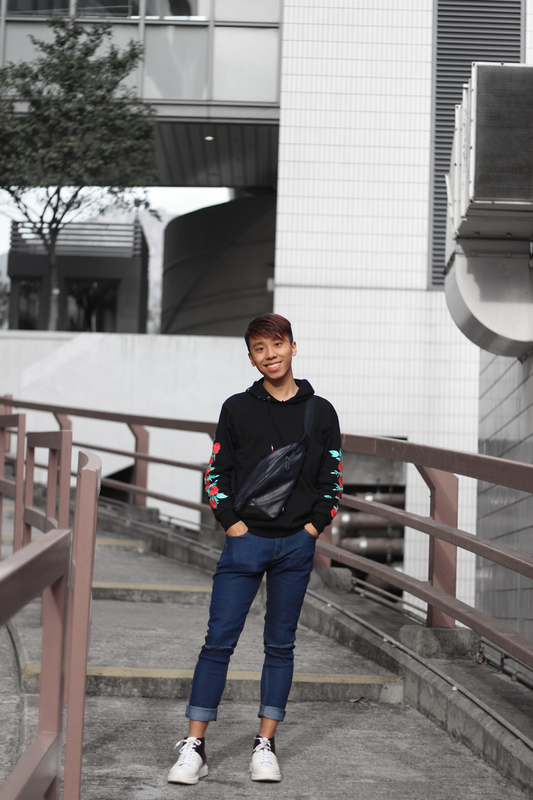 For today's post, I am sharing my everyday outfit with you guys! Black and blue is one of my favourite colour combination when I want to look put-together without thinking too much on what to wear. This Rosegal hoodie is just amazing when you want to wear something simple but with little statement details. I am wearing this hoodie with blue jeans. The Rosegal dark blue jeans go with almost every outfit! When you want to carry little things, this Rosegal belt bag is definitely one of your best choice of bag! Do you guys love this look? Let me know on the comment section! *This post is sponsored by Rosegal. Your sweatshirt looks so cool! I love the rose details on the sleeves and the hoodie! From your nice hair to that good sneakers, Daniel you look handsome. I love the hoodie! A great casual look! Definitely love this combo. That belt bag is another level! The floral design on the hoodie definitely adds a nice touch to this outfit. I'm really loving the design on the sleeve, such a great detail to enhance a basic! Thanks for sharing, Daniel, and I hope you have a great week ahead! Love the sweater - the design on the sleeves is so rad, Daniel! Daniel, you look awesome. Happy 2018 for you. Nice look. Have a great week! Love this hoodie! So cool! This is a great outfit! I love that bag. I also love the combination of black and blue. 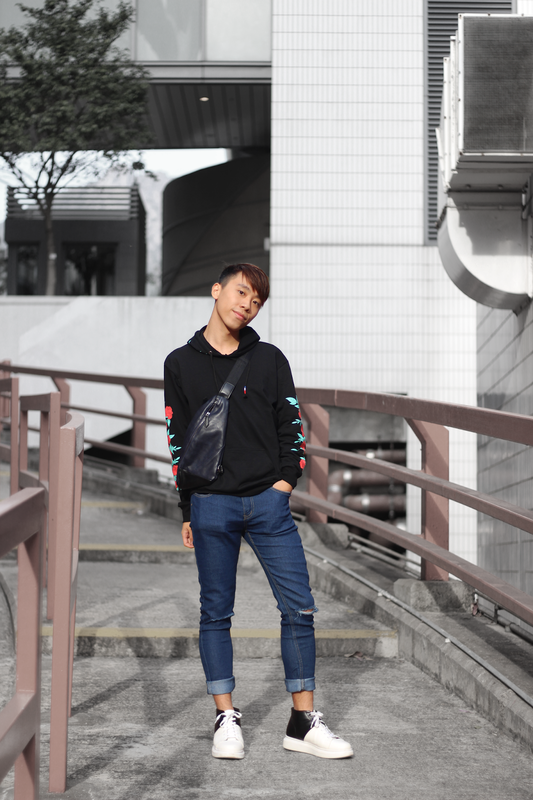 I really like the embroidery on this hoodie and I think your outfit is excellent. Good luck with school. My New Year’s is off to an wonderful start and I hope yours is as well. Have a great week! Love this outfit! The hoodie is stunning! 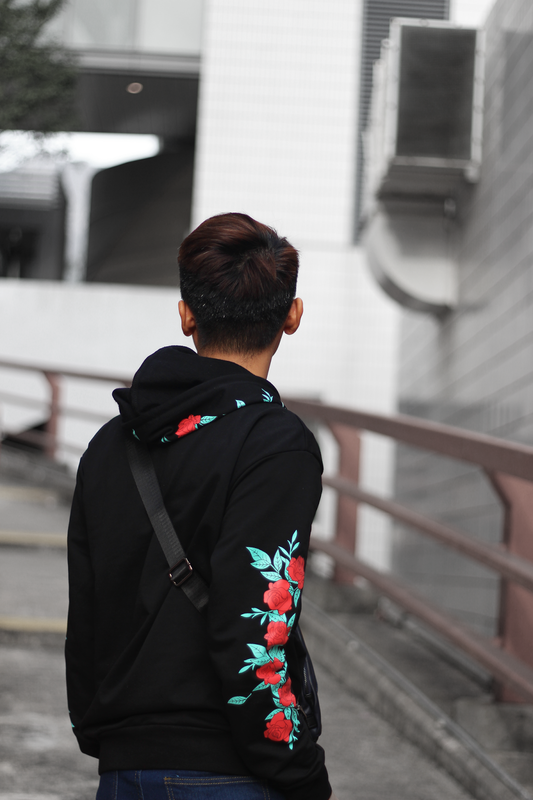 Love the floral details on this hoodie!